Happy 2015 friends!! One of my new year’s resolutions was to be a better blogger. Seeing as today is the 20th of January, you can see how well I’m doing with my resolutions… One thing I want to start in the new year is Tutorial Tuesday, where I give you step by step directions on how to complete a project. I won’t promise that this will happen every Tuesday, but I’ll do my best to post a couple tutorials a month. 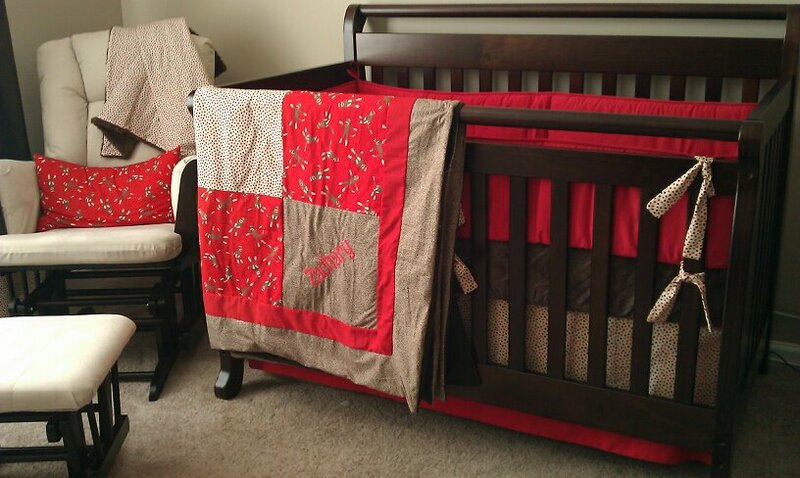 The first tutorial is how to make a crib skirt. The first thing you need to do is measure your crib mattress. They vary in size slightly, but it should measure somewhere around 28″ wide and 52″ long. The next thing you need to do is determine how long you want to make your skirt. If you’re a first time mom, you probably aren’t thinking that you’ll adjust your crib height as your baby grows and starts sitting up, and then standing. I didn’t, and when I made a crib skirt for my son’s nursery a few years ago, I made it touch the floor and then a few months later it was too long. I recently made a crib skirt for my childhood best friend’s new baby and I made her’s 14″ long. 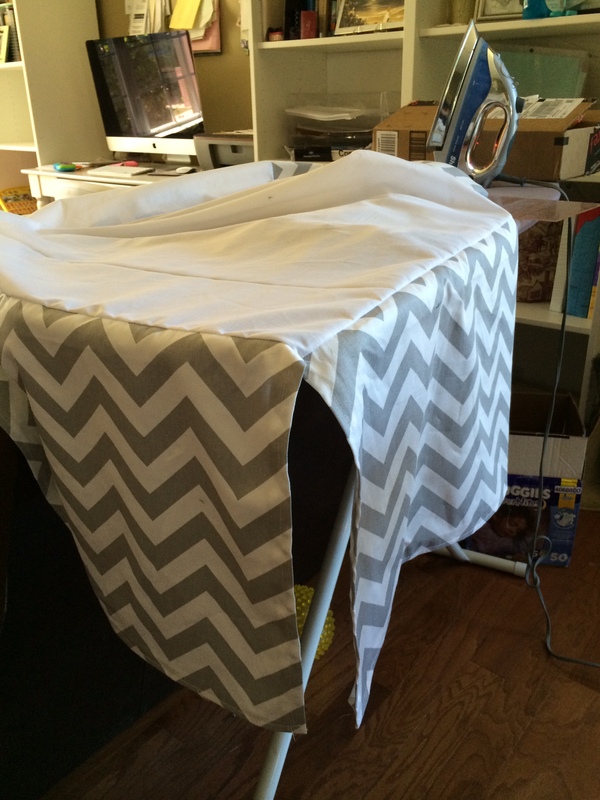 (This tutorial can easily be adjusted to make a bedskirt for any size). 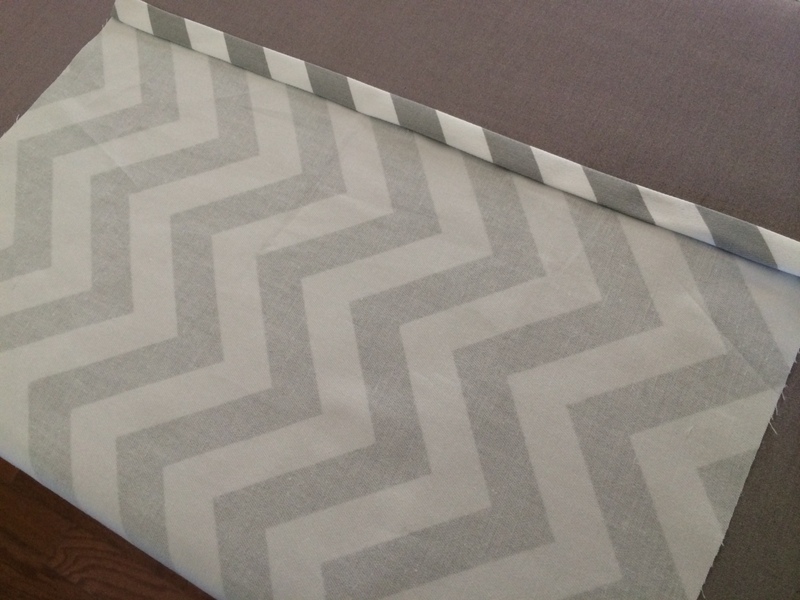 For this crib skirt, I used home decor fabric which measured 56″ wide. The home decor fabric was heavy enough weight that I didn’t need to line it, AND wide enough that I was able to buy less yardage. I purchased 2 yards, but could have gotten away with only 1.5. I also bought a piece of cheap white fabric to use as the base that lays under the mattress. Nobody will see it, so feel free to use a scrap of something leftover from a previous project. Now that you have your measurements, cut your pieces to size, leaving an inch clearance on the two sides and bottom, and a half inch seam allowance on the top. 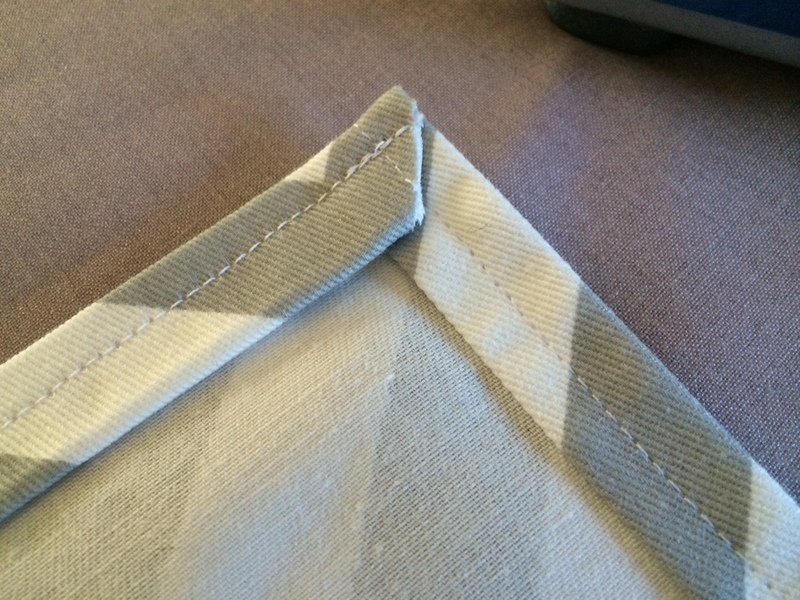 I folded over the sides and ironed, and then folded again to hide the raw edge of the fabric and sewed. Next, I repeated the same step with the bottom hem of the fabric. I snipped the corners at an angle and sewed. Repeat this with all 4 side panel pieces. Now, your’e ready to attach the pieces to your base, which should be cut the exact size of your crib mattress. 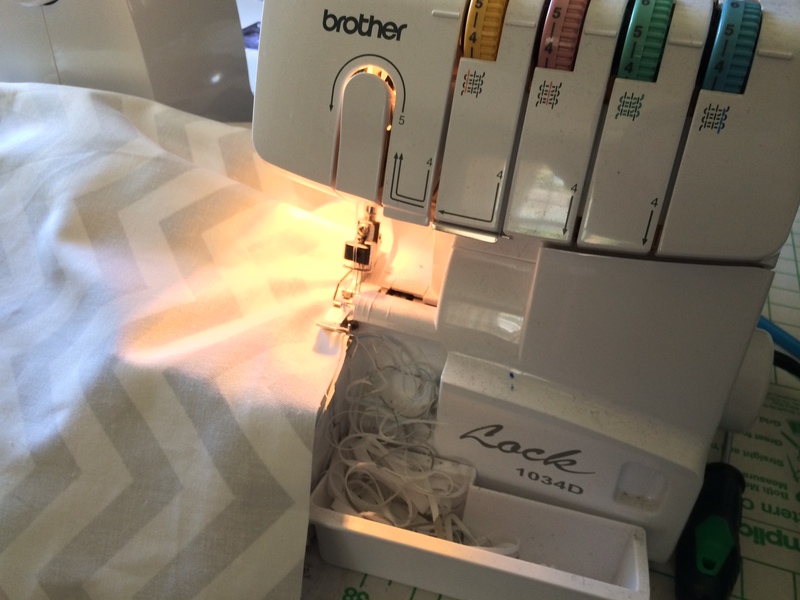 I used a serger to attach my fabric pieces because I wanted a finished look. 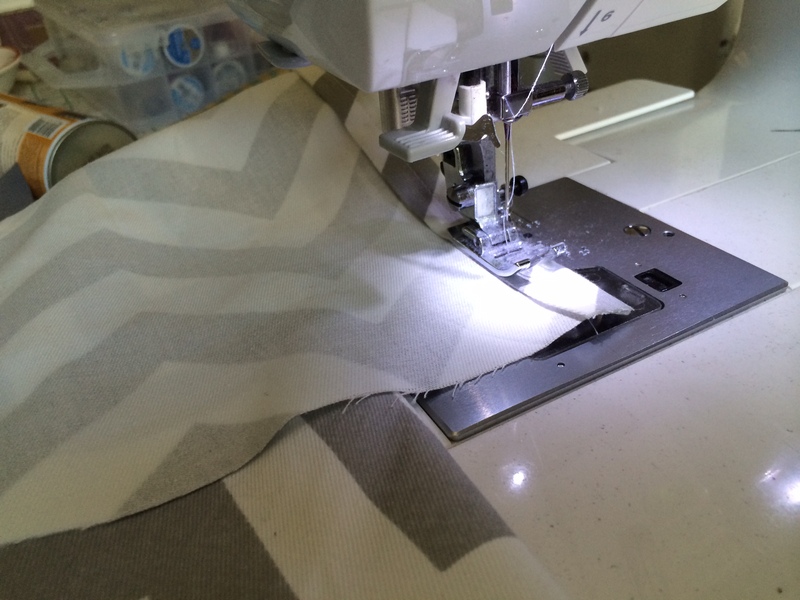 If you do not have a serger, a zig zag stitch will work just fine. I promise you, nobody will ever see this, and chances are, you won’t be washing the crib skirt, so you have very little chance of it fraying. 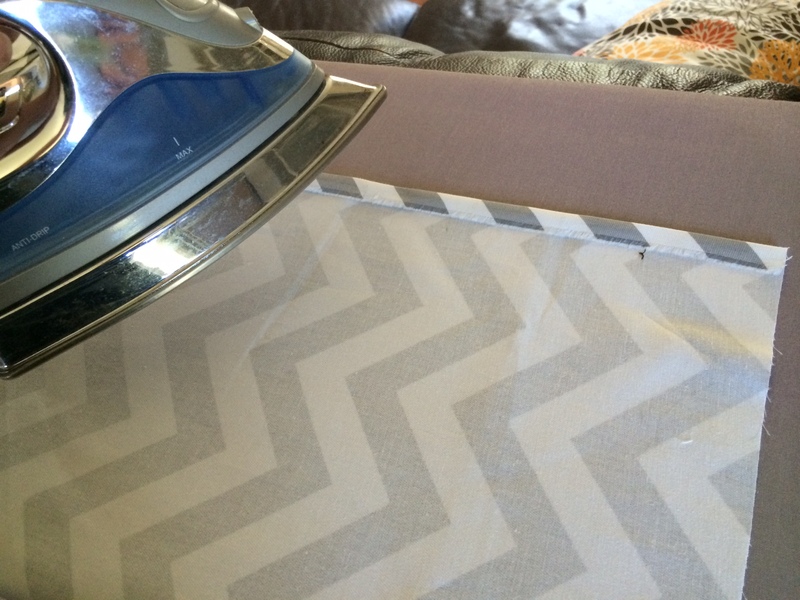 Once you’ve sewn all for sides, iron them flat, and ta-da!! 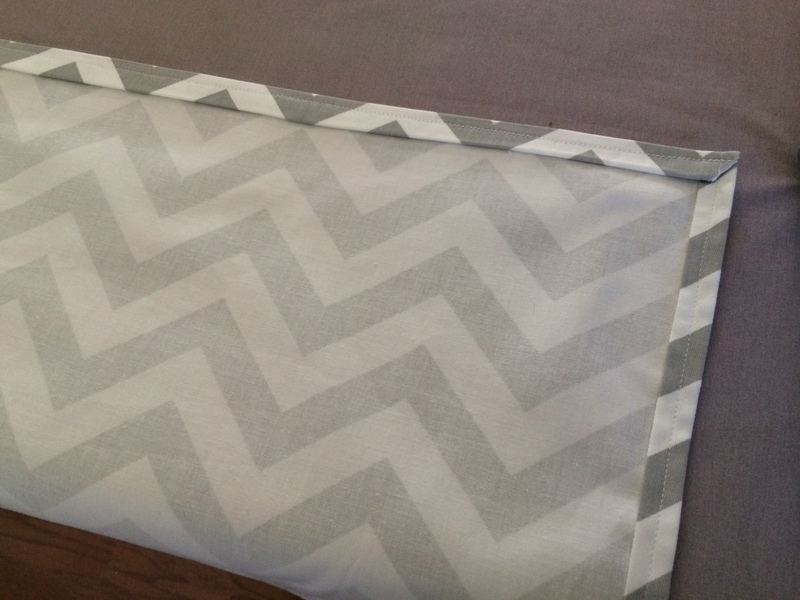 You can get as fancy as you want to with your crib skirt. 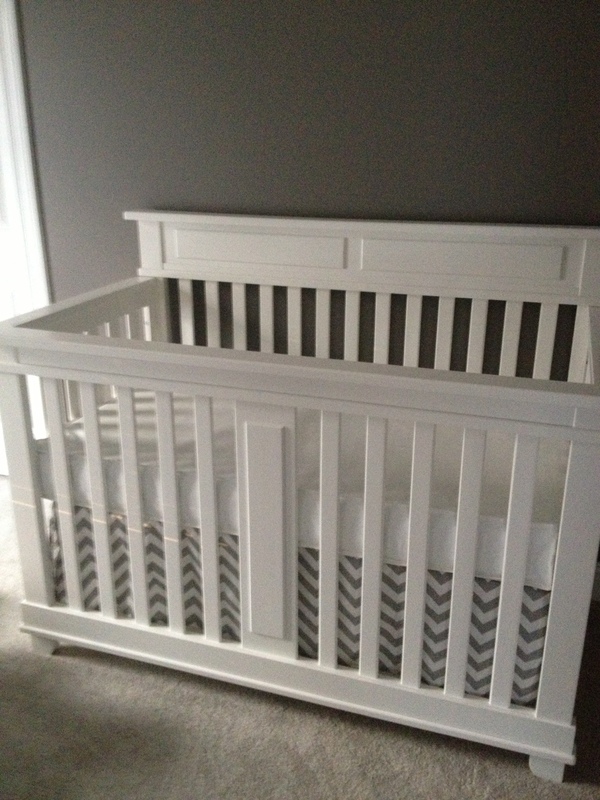 Here is the finished product on the crib. 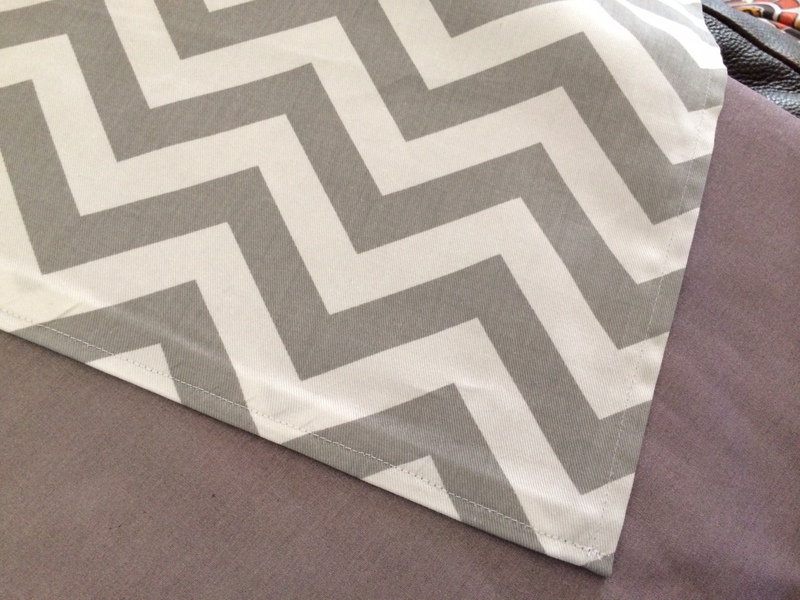 I also made a chevron quilt for this nursery, and I’ll post about that on another Tuesday tutorial. For my son’s crib skirt, I added a stripe across the bottom. To make this adjustment, just account for how wide you want the stripe and subtract that from the length of your other fabric. I hope that this tutorial was helpful. 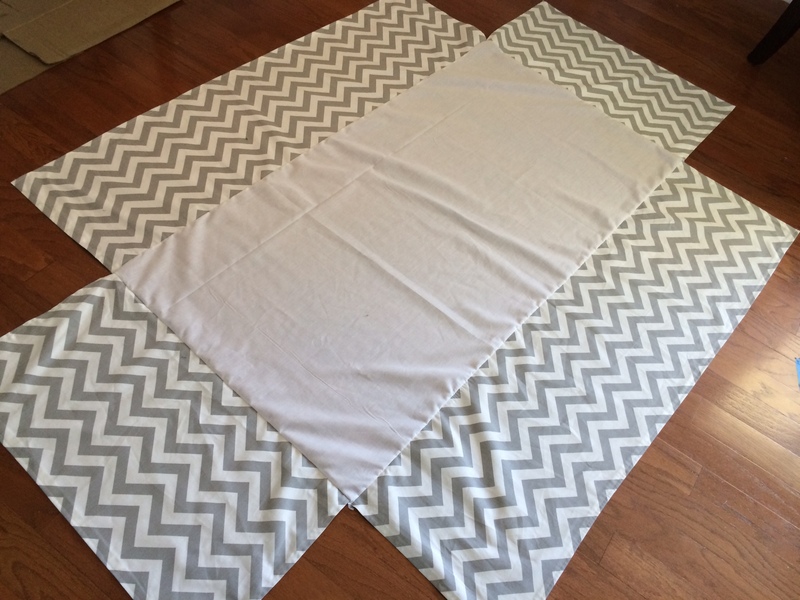 I’d love your feedback or to see completed pictures of crib skirts you make. Please check out some of my other tutorials.